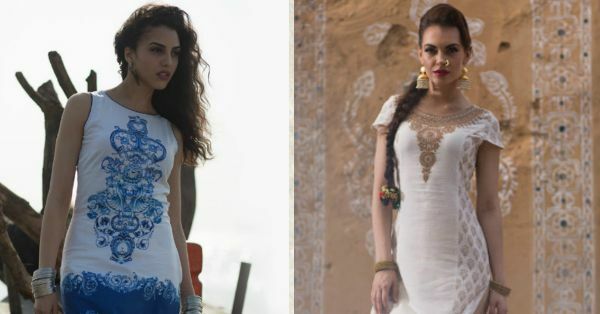 5 Printed Kurtis SO Pretty You’ll Want Them All! There are a million things that go on in a girl’s mind while she is deciding what to wear. It gets really hard to pick outfits at times (or most of the time!). These are the days when Indian outfits come to the rescue. Kurtis, to be precise, are a quintessential part of every girl’s wardrobe as they combine fashion and comfort. What’s more? They go with jeans, leggings and salwars as well! We found 5 amazing kurtis that are totally worth crushing on! Colours always have the power to cheer you up if you’re having a bad day. This bright kurti with colourful digital patterns is our favourite. The 3/4th sleeves keep sun tan at bay. Team this up with plain black leggings for a simple-yet-sophisticated look. This kurti is brilliant for girls who don’t like to go overboard with accessories. Although this listicle only talks about printed kurtis, we couldn’t help but include this pretty pink and orange number. It is so versatile and modern and can totally lift a dull day in college. Moreover, if you’re partying after college, it can always double up as a dress. The mirror work detailing on the neck and the overlapping georgette bottom will give you a timeless look! All you need is a fabulous pair of heels to go with it. You can never go wrong with a white kurti. 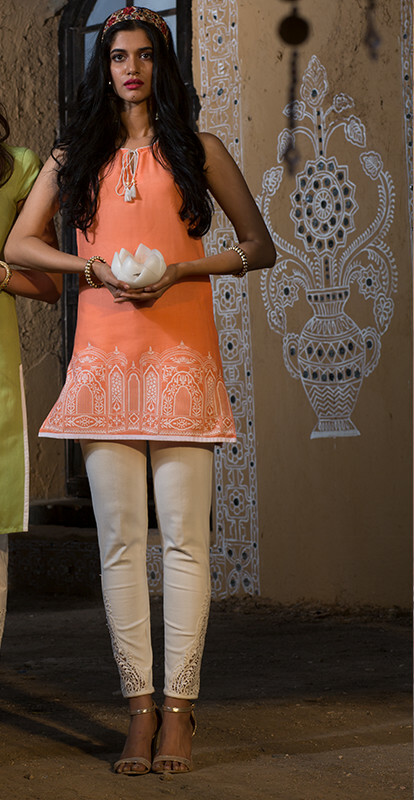 This chic white kurta with golden work is great for a farewell party in college or a mehendi. The combination of white and gold is spot on and looks very sophisticated. Red lipstick can take this outfit to a whole new level. Give out nautical vibes in this blue and white kurti to keep it cool this summer. The bold embroidery adds volume to a slender frame. Add minimalistic accessories so that you don’t look OTT and pair the kurti with navy blue leggings.A simple pair of kolhapuris can help you glide through the day since they are super comfy. 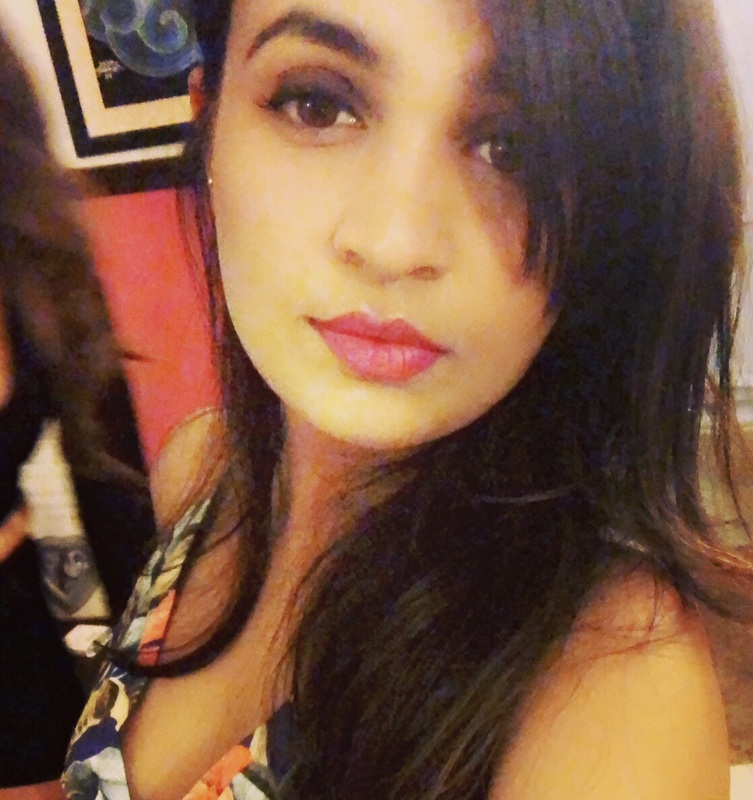 * This is a sponsored post for House Of Naari.